December 2016 – So, what do you do all day when you have four degrees, a penchant for reading and a passion for research? If you are Richard Herrington, you advise students, share articles and books on topics related to research projects and keep on learning. Herrington offers advice to faculty, graduate and post-graduate students on steps necessary to appropriately model or analyze data under scrutiny. In brief, Herrington, who prefers to be called Rich, is a quantitative research expert who specializes in statistical modeling of research data, sometimes referred to as data science. He poses mathematical or statistical problems that are related his student-clients' current project under study to help them find their way through "tons" of data. Rich also writes computer scripts to simulate and analyze the solutions to the problem posed – yes, one of his degrees is in mathematics. Sometimes, you can catch him reading research articles and books related to the posed problem, so he and his students then can extrapolate – it's what he says is "learning through simulation and benchmarking." Sometimes you may find him updating software on internal Linux servers or concentrating on learning a new, important methodology that is currently underutilized at UNT. At other times, he is developing materials, computer scripts, or tutorials for newcomers, or teaching and implementing an underutilized methodology. Rich's education includes two bachelor's degrees, one in mathematics with a minor in education from Colorado State University, Fort Collins, Colo.; and the other in psychology with a minor in computer science from Lamar University, Beaumont, Texas. From UNT, Rich graduated with his master's degree in experimental psychology with a specialization in behavioral and electrophysiological measure of memory attention, and learning; and doctoral degree in applied research methods. 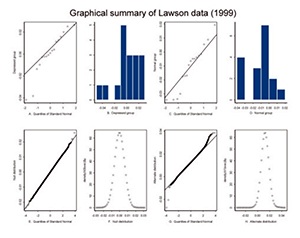 His doctoral thesis is titled "Simulating Statistical Power Curves With The Bootstrap and Robust Estimation." 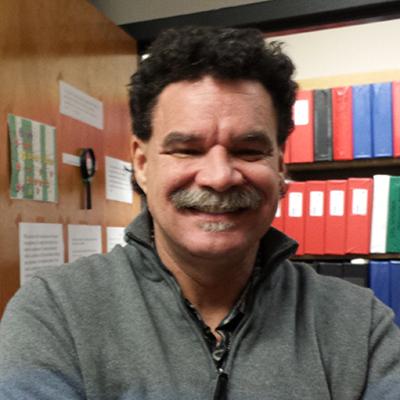 Since 1997, he has worked as a research consultant in the Office of Research and Statistical Support Services. Rich said he became more interested in applied mathematics and social science methodology while in graduate school and switched his focus during his graduate tenure to what now may be called data science by some professionals. Through the R&SS consultancy service, Rich provides a critical evaluation of research design and data analyses for student and faculty research projects and occasionally administrative projects that require research planning and modeling. He works in his two-person department with fellow consultant Jonathan Starkweather, another data scientist. One of the toughest parts about working at a large university is the need for collaboration, he said, citing the need for better communication and cooperation across the many different departments and divisions. More communication and cooperation across departments could unleash UNT's efforts toward success and to excel among tier-one institutions. The work environment – a good thing – continually challenges his thinking and gives him the opportunity to learn new skills and new technology. After work, Rich tends to his cats, Pandora and Mr. White; reads non-fiction, such as science, applied mathematics and philosophy; and plays chess on a free internet chess server. Specifically, he plays blitz chess that allows only three minutes for each game. Occasionally, Rich conducts computer chess matches – currently between Stockfish 8 and Komodo 10.2, or watches PBS or the BBC on television, he said. He particularly follows PBS' NOVA science broadcasts, the Red Dwarf, a cult science-fiction comedy show; Graham Lineham, an Irish television comedy writer for the Father Ted shows, the IT Crowd; and the BBC sitcom called Count Arthur Strong. He also "doodles" around on the acoustic guitar, six- and 12-strings, when he says he probably should get up and exercise more instead. His favorite app in his smartphone is Acid Ape Chess, free on the Android platform; his second favorite is the official Wikipedia reader for Android platform. Rich's favorite software applications are Debian Linux and the open-source R statistical environment, a widely used free software, available online. He also has written extensively on topics related to research and statistical support that are published on the R&SS website. 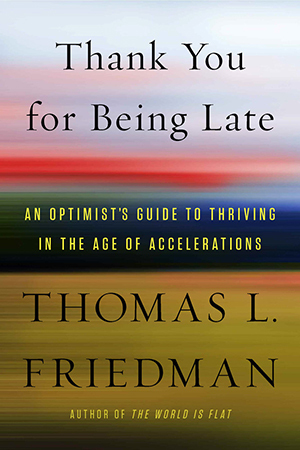 From his extensive library, Rich is currently reading "Thank You For Being Late" by Thomas Friedman, which embraces the tech mantra of "creative destruction." The (Mis)Behavior of Markets" by Benoit Mandelbrot; "The Long Tail" by Chris Anderson; "How Not to Be Wrong" by Jordan Ellenberg; and "Thinking Fast and Slow" by Daniel Kahneman are also on his "reading-now" list. Rich said he would give a university freshman thinking about a career in IT or statistics this advice: "Seek a role-model or mentor – an alive person at UNT or a famous dead one, such as Richard Feynman. Learn the Linux environment – thoroughly. Develop critical thinking skills – in the end, it isn't about technology – it is about good thinking skills and good decision-making behaviors. Develop computer programming skills – regardless of your discipline; this will help develop your critical-thinking skills. Learn R environment – thoroughly – your skills with R will be your new "super power." Don't be afraid of making mistakes – DO be afraid of not learning from those mistakes." "At the end of the day," Rich said, "take account of what you have learned, that you did not know before the start of the day. 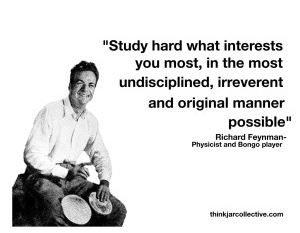 If you have not learned anything substantive during that time, then consider that day a "wasted opportunity." If you have learned something new, then spend however much time you deem appropriate, to integrating that new "idea" or "fact" within your existing base of knowledge. Repeat ad infinitum." The Research and Statistical Support Office, located in Sage Hall, Room 336, is open Monday through Friday from 8 a.m. to 5 p.m., but you will often find Rich working late, on the weekends and helping clients at their convenience – when their calendars permit. However, if you read this after Jan. 16, 2017, look for Herrington and Starkweather in their new offices located in the General Academic Building, Room 535.